Marseille seen from the old port. 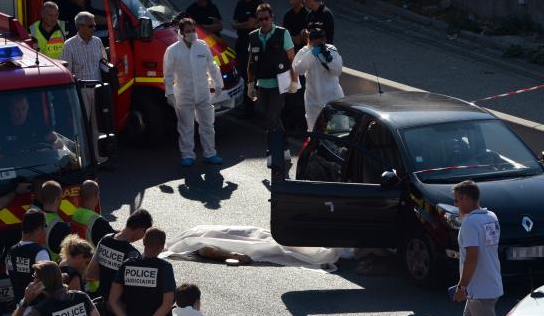 The idea of the south of France doesn’t usually evoke images of drug violence or drive-by shootings. If anything crime on the French Riviera might call to mind diamond heists in Cannes (of which there’ve been quite a few this year). But not much further down the sparkling azure coast, built on rolling hills surrounding an old port, there’s Marseille, where just this week, yet another pair of assault-weapon shootings left two youth dead, confirmed the city’s reputation for being—literally—the most dangerous place in Europe to be young, and has definitively added a Marseille Problem to the current government’s concerns. The 15th person killed this year in Marseille was actually the son of a well-known city figure, José Anigo, the athletic director of the Olympique de Marseille soccer team. What is most striking about the violence in Marseille is the perception of impunity. There is a sense about the city, which is the murder capital of France, with five times the national homicide rate, that it is actually beyond the power of authorities to do anything about it. That it has simply been left to its own devices. Several years ago already, in the summer of 2011, an incident occurred that got a lot of media coverage because it was so deeply symbolic of the situation. A privately-run parking lot in the Porte d’Aix neighborhood, not far from the city center, was abandoned by the management company Vinci, who claimed that they were tired of dealing with the harassment and crime of the local gang of kids, and that they couldn’t insure the safety of their employees. The lot was soon taken over by the gang who ran the place, hitting up drivers for 5 Euros in order to leave the parking lot. The racket lasted for months. When the lot was finally evacuated, Vinci claimed the local authorities hadn’t done anything, the authorities claimed the police didn’t do enough in the neighborhood, and the police claimed that they regularly patrolled near the parking lot. Keeping in mind that the parking lot had formerly brought in about €100,000 of public revenue annually. “T.I.M,” you might say: This Is Marseille. And this is the problem. In 2012, 24 people were killed in drug- and gang-related violence, and 15 have already been killed this year, despite the fact that both the Sarkozy government and the Hollande government each dispatched new brigades of hundreds more policemen and investigators in recent years. While I was editorial director of the news channel France 24, we produced a documentary about Marseille’s growing lawlessness that aired in October of 2011. Johnny, a 22-year-old aspiring rapper, drug dealer and gang leader, was one of the story’s affable characters, talking about himself as a kind of Robin Hood, just trying to get by without hurting anybody. A few months ago he was gunned down by a rival. The sense of lawlessness in Marseille persists. Last summer, a socialist senator and district mayor from Marseille, Samia Ghali, called for the president to send in the army, raising eyebrows in her own party with this very un-leftist call for a kind of emergency martial law. Hollande at the time said this wasn’t the role of the army, and the Prime Minister, Jean-Marc Ayrault, called for a special inter-ministerial summit to study the Marseille problem. Last week, Samia Ghali renewed her call for the army to help insure security in Marseille. And the Minister of the Interior, Manuel Valls, called for a “national pact” to solve the crisis, with an emergency meeting involving all of Marseilles’s elected officials that was held this (Saturday) morning. The Marseille Problem obviously has no simple solution. But it is hard to get past the bizarreness of the fact that in the second biggest city of one of the world’s wealthiest countries–which sees the United States as being a violent and weapons-addled society–that drug bosses and gangs are running the show essentially undeterred in some neighborhoods. 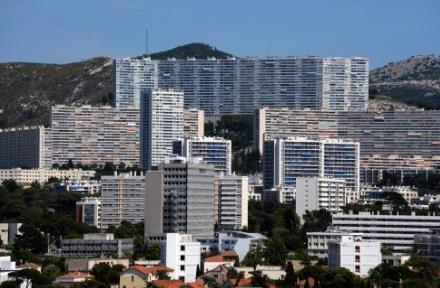 One of the banlieue in the north of Marseille where much of the violence takes place. It’s unclear what the real root problems are and which to attack first: poverty, unemployment, alienated immigrant communities, gangs and violence itself? 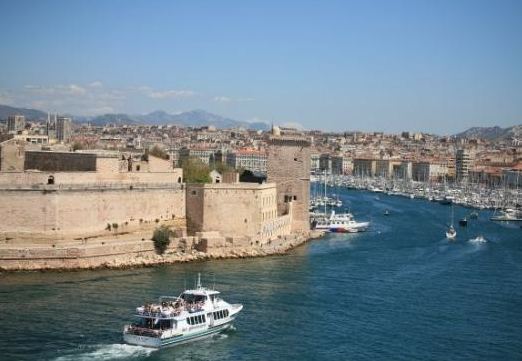 Marseille is a huge city with a large immigrant population, high poverty, and among the highest unemployment rates in the country. But the problem runs even deeper, deep into the mafia history of the city, into the deeply-rooted culture of organized crime and omertà that goes back decades.